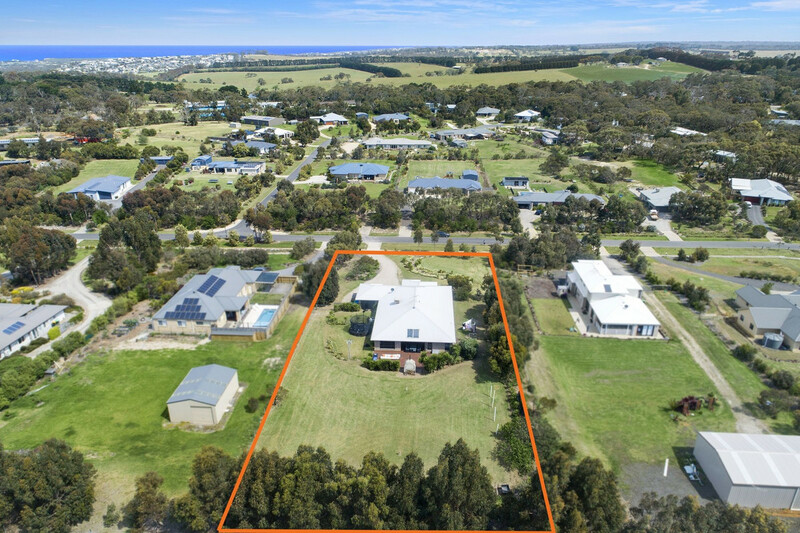 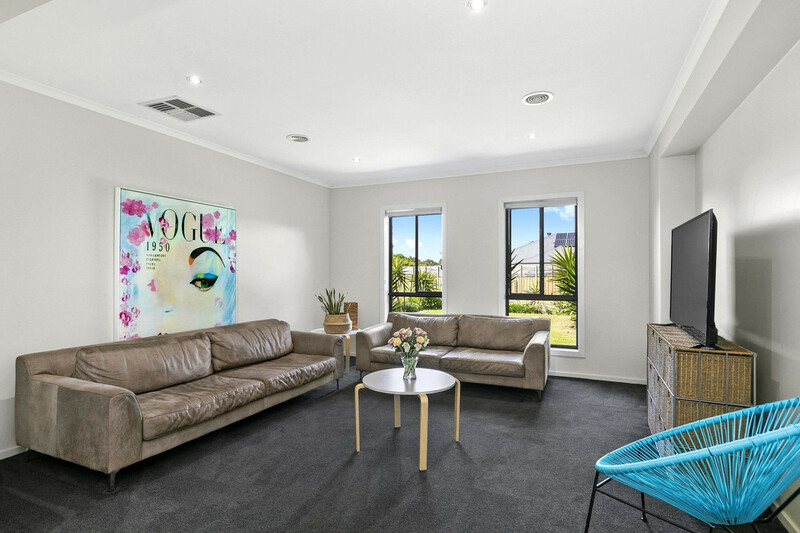 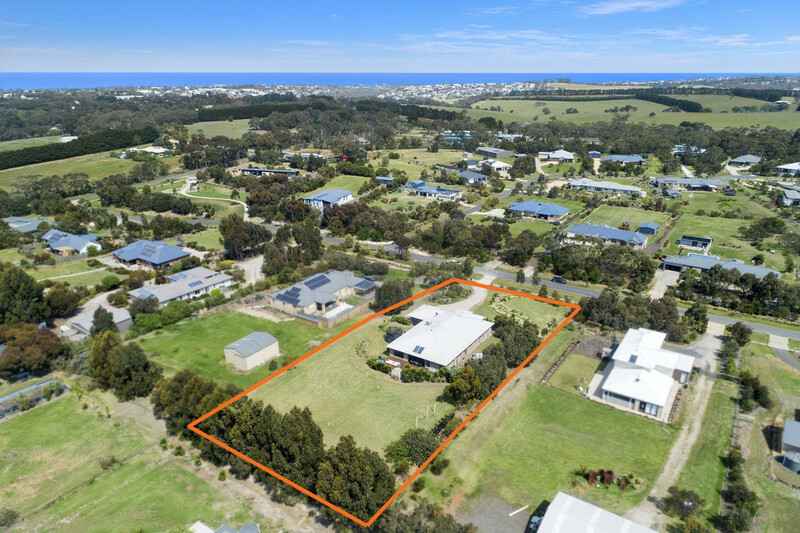 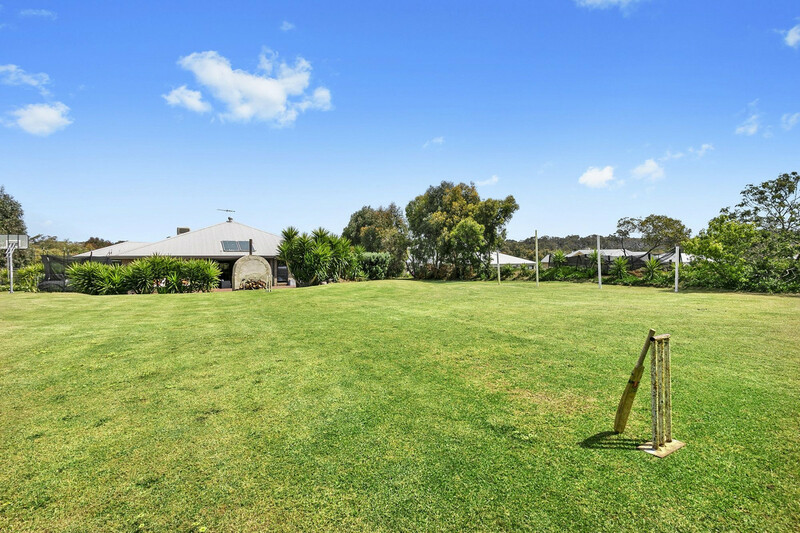 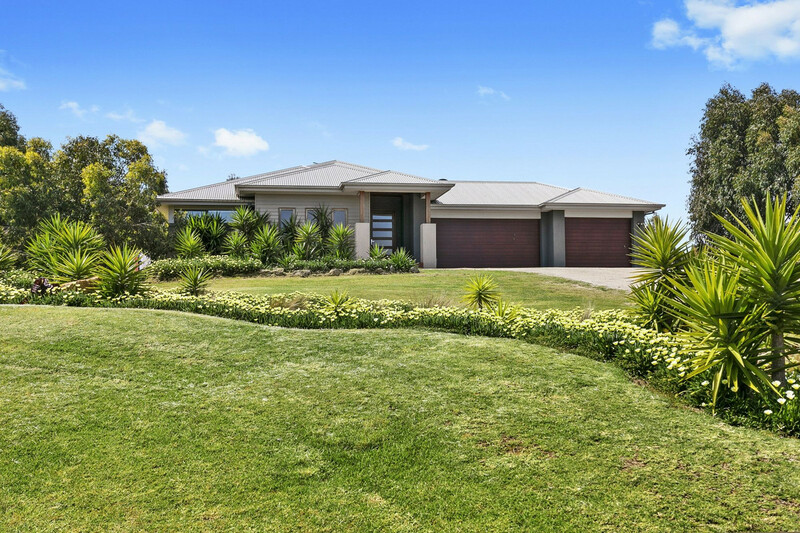 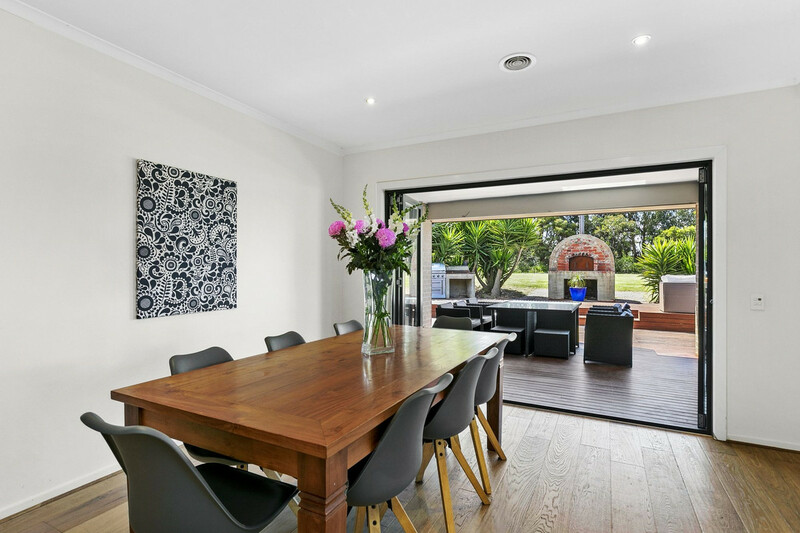 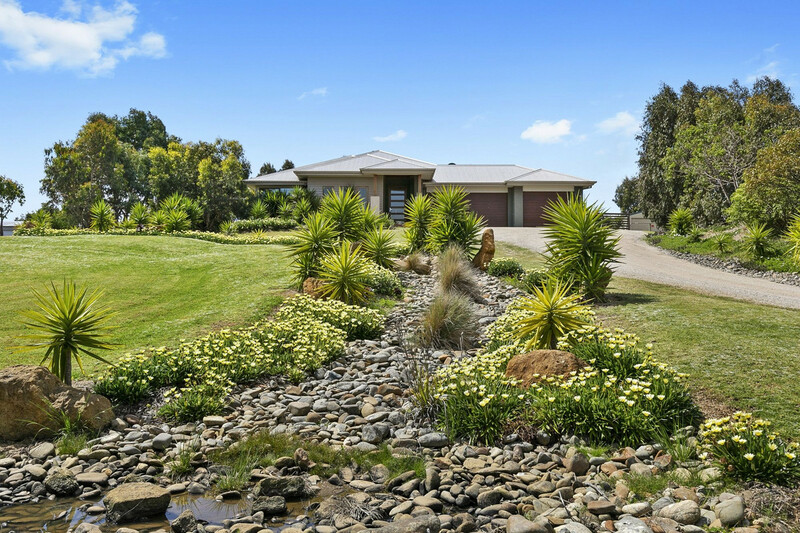 An inviting well proportioned, open plan, family friendly home and entertainers dream, 12 Frog Hollow Drive is spacious, modern and packed with stunning features. 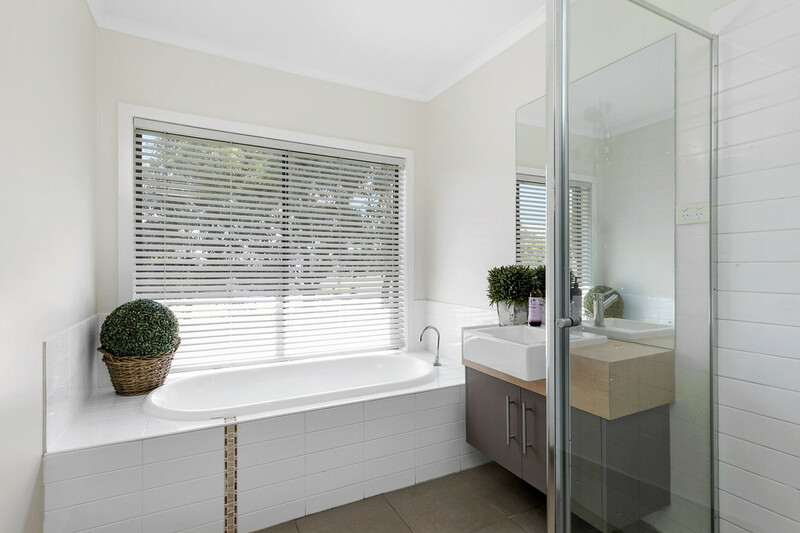 If it’s a lifestyle home you’re looking for – look no further! 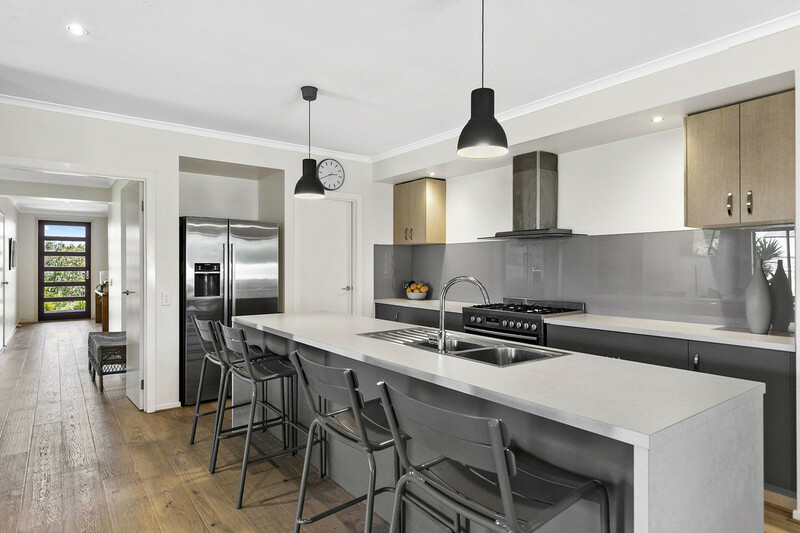 A well-proportioned, open-plan design provides free flowing living between the main shared spaces and into the kitchen, which is the centrepiece of the home – modern and functional, with oak floorboards providing contemporary style and warmth. 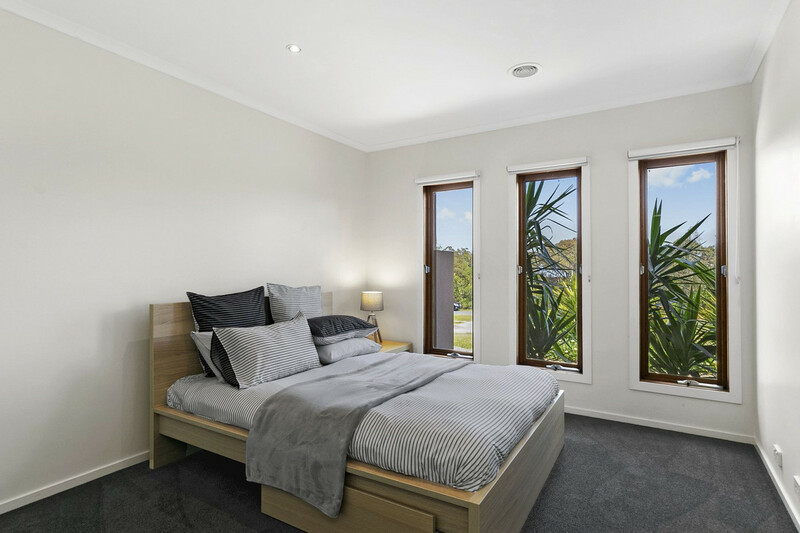 The front of the home branches into three large bedrooms, all bright and light with their own private rumpus room, the master boasting a large WIR and ensuite with garden views. 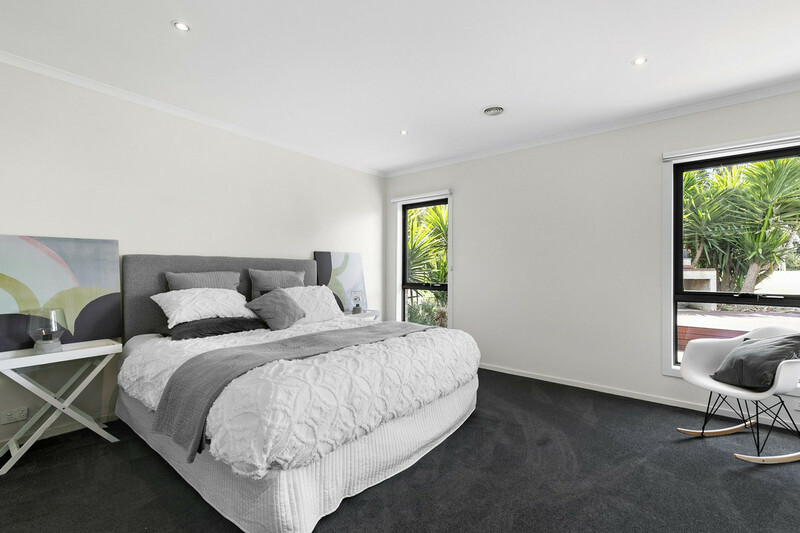 All bedrooms are well-appointed and spacious, offering ample storage. 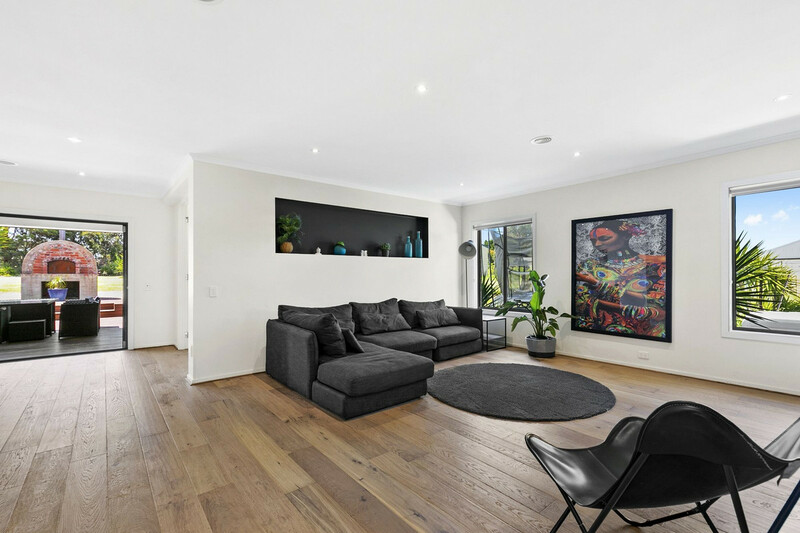 The elevated 4,201m2 approx. 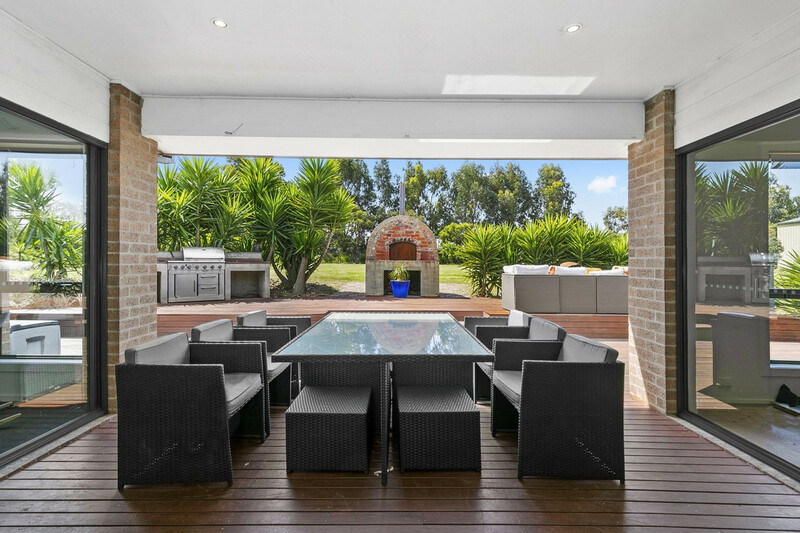 north facing block adds privacy as well as a great outdoor lifestyle for the family. 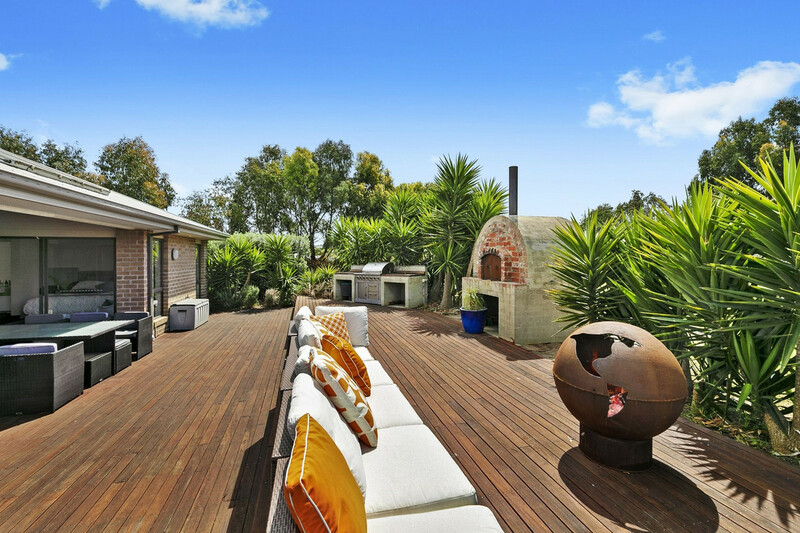 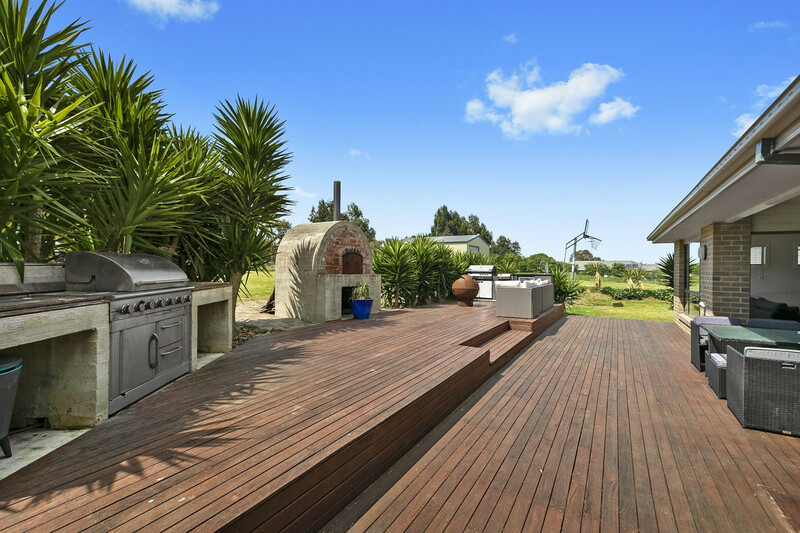 Outside, the alfresco area features a beautiful crafted timber deck and pizza oven, a built in BBQ which is also plumbed in, ensuring the property is ready for all occasions. 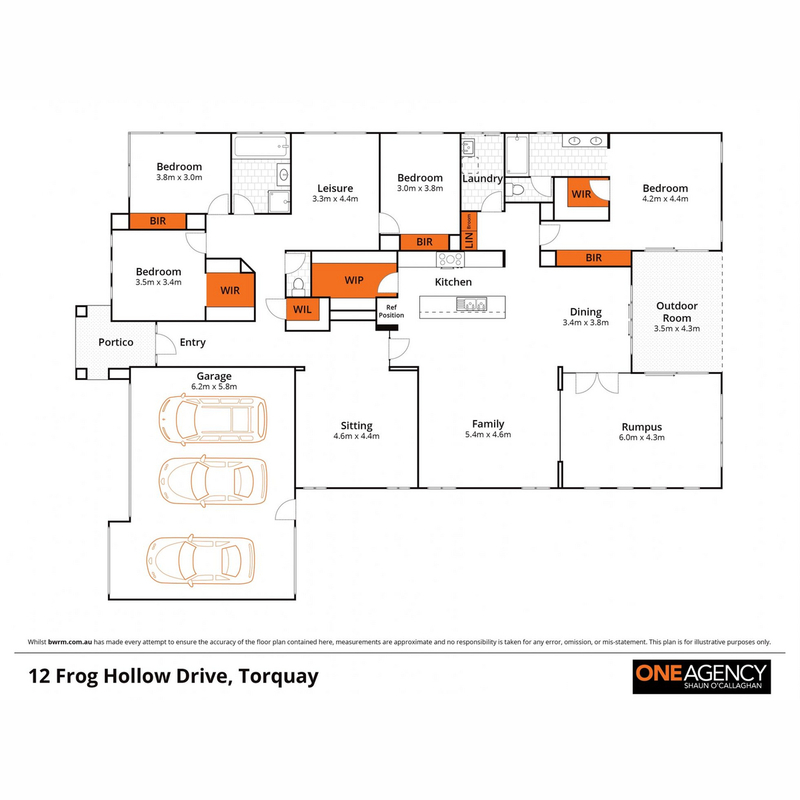 Frog Hollow Drive also boasts ducted heating and evaporative cooling throughout, a rumpus room, study, side access for boats/caravans as well as a three-car garage with internal access.